« Getting Ready For The Show! and also turn it in–that’s what I tell my students, the people I tutor, my kids–other people’s kids–and I take my own advice. Don’t just be a wild child–do your homework first! I do it, and I turn it in on time. My husband is very amused by the fact that I often manage to sell my homework too; not by peddling blackmarket term papers (read a book and write your own!) but by selling things I make in my ceramics class. 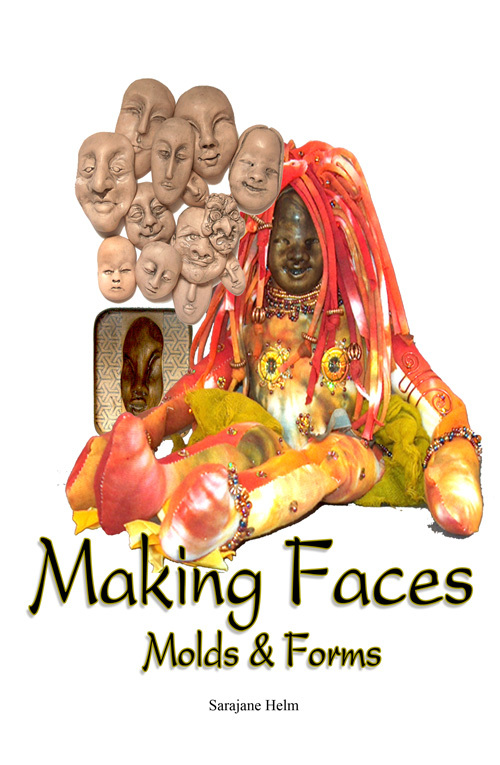 Or by taking an Adobe InDesign class and self-publishing the Spirit Doll Body Instructions and Pattern or the miniature polymer clay vanity set how-to I did as homework up using graphics created (you guessed it!) as homework in myAdobe Illustrator class. 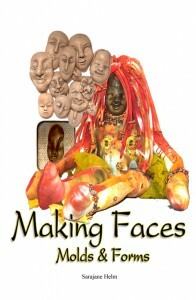 (The pattern and instructions will also be in the upcoming book Making Faces , Molds and Forms.) The fashion doll sized set of perfume bottles on a polymer clay tray you see here is made using the instructions now available from PolyMarket Press. Wouldn’t every Barbie lover want to make a set for their tiny boudoir? I’m going to make another set myself, since I’ve sold this one! But today’s homework involves work from my Open Source Coding class, in which we are currently studying building blogs (like…this one!) using WordPress.org. This PolyMarket Press blog is my effort, and my fellow students created blogs too. Its great to see what everyone chooses to talk about and how each has presented it using wordpress themes and modifications using css, html and php codes. Emily’s blog not only has a beautiful banner at her These Blue Eyes blog, she also has some funny stories, like the one about the couple who brought their two parrots with them while doing some complex banking transactions. I’ve seen the kitchen of friends with parrots, and their cupboards were largely pecked away…good thing the birds at the bank only stayed a few messy hours! Glo wrote an articulate post about some of the drawbacks of seeking web design as a full time position. She also gave a very concise review of basic html and css in class that was most helpful. Her blog, titled Tangerine Glo, utilizes colors that do just that! Classmate Richard introduced us to the user-friendly and potential very useful Headway templates, and has some very valid concerns about the monetary issues our world is facing. If he’s right about a 1% transaction tax coming up, there will be a lot of unhappy people seeing their paychecks nibbled away–a percent to deposit, a percent each time you spend…those little nibbles add up! AS an entrepreneur, this is an issue important to me. I certainly don’t want to lose a percentage on my homework OR my sales! Time for more barters and trades, where creative people don’t need to involve banks. Montana blogged about the impact of the fires–she lives in Boulder and the fires came way too close! It puts the importance of homework in perspective when you are dealing with fires that burn down neighborhoods and displace people. 1 comment to Do That Homework! I agree! Always do your homework first. It will get you on track and done on everything you want with the spare time to do more. This post is actually entertaining. very nice.